According to a 2016 study by WalletHub, West Virginia has the most expensive medical malpractice insurance rates in the country. This means that in order to control those costs as much as possible, WV physicians must take special precautions when treating patients. One precaution they may choose to take is ensuring their support staff, including medical assistants, are properly educated and trained. Medical assisting in West Virginia is on the rise, with an additional 140 jobs projected to be added each year from 2012 to 2022. To meet the demand, several schools in the state offer programs that culminate in a diploma or associate degree in medical assisting. What can students expect from these schools, and from their career after graduation? This guide focuses on the specific requirements for medical assistants in West Virginia, as well as what they might expect from their new career. Medical assisting programs are highly beneficial for students who are interested in advancing their career without interrupting their daily routines. One of most important steps to beginning a program is finding the right school, which is why we’ve looked at data points—graduation rate, tuition cost, etc.—from schools throughout West Virginia and compiled a list of the state’s best programs. 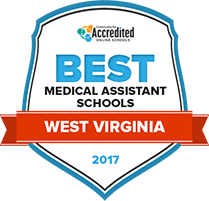 Look below to find the best medical assisting programs in West Virginia for 2017. Students interested in a career assisting doctors and other care providers can pursue a medical assistant associate of applied science degree from Mountwest Community and Technical College. Graduates will be prepared to perform clinical duties such as performing CPR and administering first aid, taking and recording vital signs, recording patient histories and securing lab samples. They will also learn to perform front-office tasks like billing, scheduling and reception. The program is accredited by the Commission on Accreditation of Allied Health Education Programs. Students will benefit from a variety of tools throughout their academic journeys, including career services and academic advisement. The career-oriented medical assisting program at Blue Ridge Community and Technical College prepares students for immediate entry into the field of allied health. Graduates will be well versed in both front-office administrative and clerical work, as well as patient-oriented clinical responsibilities. The program culminates in an associate of applied science degree. Support services include access to the bookstore, where students can secure most of their required academic materials. There is also the E2Campus system, which alerts students about closings and emergencies, library services and a wide range of clubs, organizations and activities. The associate of applied science degree in medical assisting at New River Community and Technical College prepares students not only for immediate entry into the workforce, but to sit for the National HealthCareer Association exam. Before beginning classes, new students will participate in an orientation designed to help them transition successfully. The school provides a range of student resources, including technology services, access to the Student Government Association, and a dedicated Student Success Center. The center offers writing services, peer tutoring, online tutoring, study groups, mentoring, career counseling, multimedia computer labs and make-up testing. The clinical medical assistant program at West Virginia Northern Community College is a 1+1 program that has specific requirements that part-time students may not be able to meet. Graduates will be qualified to serve in a variety of ambulatory care environments, including hospitals and doctors offices. Their education will prepare them to successfully perform both clinical and administrative duties. Prospective students are welcome and encouraged to sign up for a campus tour. The library and learning resource center offers a vast menu of books, magazines, ebooks, journals and periodicals, as well as reference materials and articles. Students who complete the medical assisting program at Southern West Virginia Community and Technical College will be prepared for entry-level work in a variety of ambulatory health environments, and they will also be qualified to successfully sit for the necessary certification exams. Among the many resources students will enjoy as they progress in their academic journeys are academic advising, career services, tutoring and access to the college's study, research and academic resources within the library. Students will receive their own college email accounts as well as logon access to the MySouthern online portal. The two-year medical assisting program at BridgeValley Community & Technical College prepares students for entry-level positions in several different professional medical settings. Graduates will be qualified to perform front-office administrative work, as well as hands-on clinical work. The program, which is completed over four semesters, is accredited by the Higher Learning Commission. BridgeValley has a mobile app that complements the college's online portal, and new students will receive login instructions as well as their own email accounts. The college offers a variety of student resources, including career services, academic advising, tutoring, clubs, organizations and peer coaching. How does West Virginia define "medical assistant"? "Approved Medication Assistive Personnel" in West Virginia are defined as unlicensed facility staff members who have successfully completed training and competency testing or who has been deemed competent by a registered nurse to administer medications and perform health maintenance tasks. This would include medical assistants. "Podiatric medical assistant" is defined as "a person who has been issued a permit...to perform podiatric radiographs." In addition to the certification for podiatry medical assistants, there are other certifications that are recognized nationwide and might be helpful when seeking out employment in West Virginia. The following certifications are recognized by employers of medical assistants in the state. Formal training is not required to become a medical assistant in West Virginia. However, those who want to administer medications while under supervision of licensed personnel can opt to become "Approved Medication Assistive Personnel." This requires that the applicant be trained and retrained every two years. Training is provided by the department in which the applicant works, pursuant to the rules of the West Virginia Board of Examiners for Registered Nurses. Are there tasks outside the scope of medical assistants in West Virginia? Though the scope of practice for medical assistants in West Virginia is not defined, they are considered unlicensed personnel under the supervision of licensed personnel; therefore, anything that requires a medical license of any kind cannot be performed independently by a medical assistant. Salaries for medical assistants in West Virginia are markedly lower than medical assisting wages nationwide. The chart below offers detailed information on the income of medical assistants in West Virginia as compared to national figures. The salaries of medical assistants in West Virginia depend upon many factors, including geographical location. For instance, those in Morgantown make, on average, a bit more than those who work in Wheeling. The chart below breaks down medical assisting salaries in West Virginia by geographic area. West Virginia expects to see an additional 140 job openings for medical assistants each year from 2012 to 2022. The following chart breaks the employment trends down even further and compares them with the rest of the nation. Any medical assistant working for a podiatrist in West Virginia who wants to take x-rays and work with related delegated tasks must have certification through this organization. 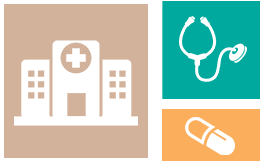 This government website focuses on the administration of medications, which ones are allowed to be administered under supervision, what can be delegated and the like. Discusses the requirements to become a podiatric medical assistant who can perform podiatric radiographs.